So help me God, I scale through ALL the backlog of posts I have. Nevertheless, I will continue to post them in sequential order, lol. Hope you all don't mind. In my Khuraira series, next up is the eyebrow definer. 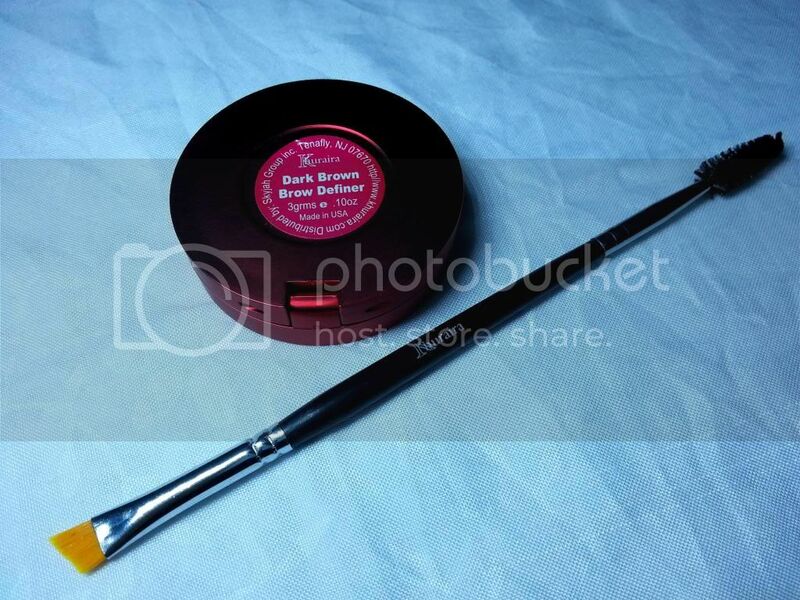 Knowing how we are about eyebrows, this product is perfect for that natural brown brow shade that is just right. I am not a fan of pencils and steer clear of them as much as I can so eyebrow powders are my go-to products for filling and defining brows. 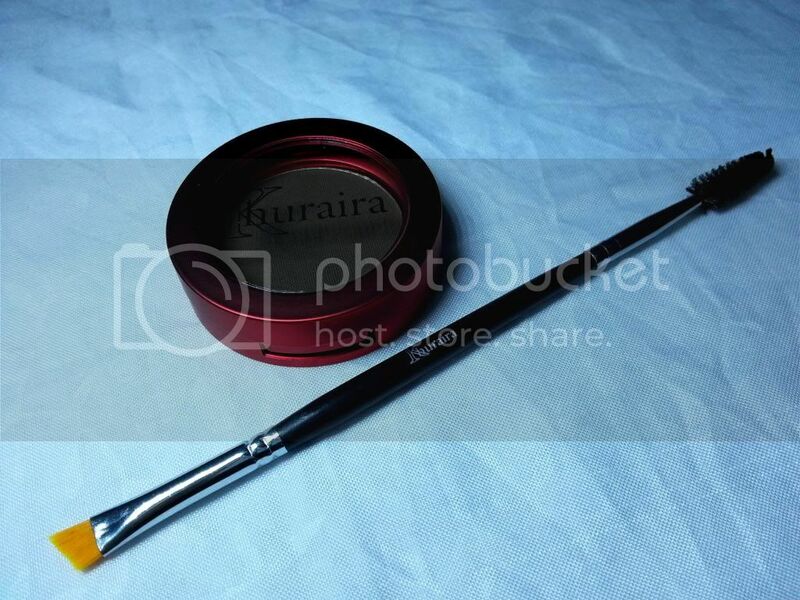 The Khuraira brow definer I got is a dark brown shade. It also came with a dual ended spoolie & liner brush for brushing the brows and applying the product which I thought was a great idea however, the brush doesn't come with purchase of the definer but has to be purchased separately. Reasons to buy this product? It is buildable: while heavy application of this product will definitely prove to be too dark for fair skin, it can be applied lightly and then built on for darker skins. It is light weight which gives room for mistakes or errors to be easily cleaned off unlike gel or pencil which smears when rubbed on after application. As an aside, this works perfectly well as a matte brown eyeshadow and if you are desperate or looking for a quick fix, it can also double as a contouring powder. I have been letting my brows run wild, filling them in sparsely. 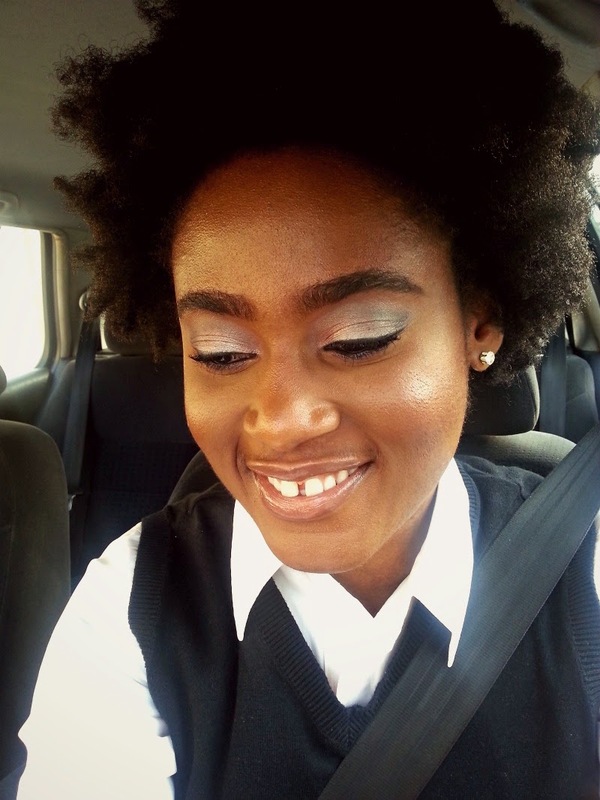 I used the Khuraira brow definer for my brows in the picture below. Pretty! Do you shape your eyebrows or that's just how it is? I haven't done anything to them throughout this year so I think I can safely say that this is how it is. thanks dear. Been a while, how are you?